Well, I blame this post on you lovelies. Well, some of you. And my neighbors. I was going to hold off of any more talk of Christmas for now, but then one of you (Andrea!) had to go and tell me in the last post that you’ve already got all your decor up. And so many of my neighbors have taken advantage of the weather we had over the weekend and started putting up lights…so I will avoid resisting for a day and just go with it. Don’t freak out people! 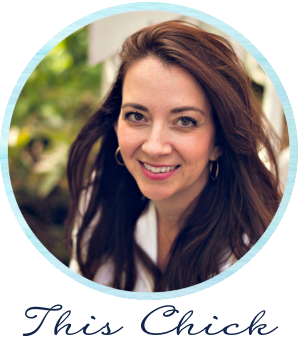 This will be the last of the Christmas talk…for a while. A little while. 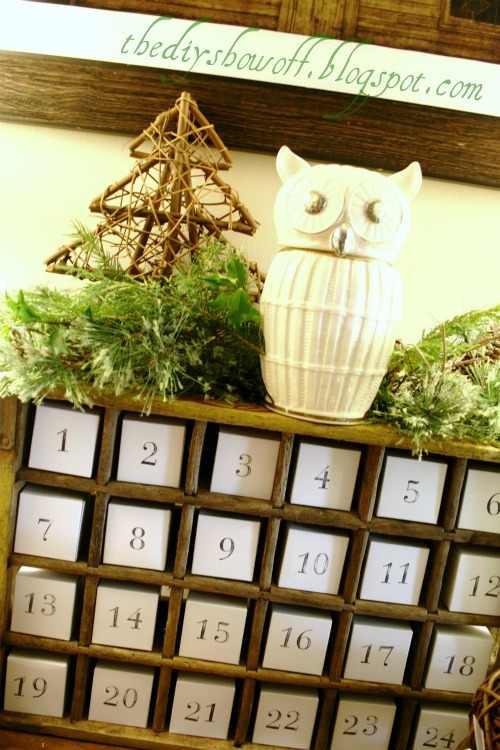 Every year I love to share some of my favorite Christmas advent calendar ideas! I do this early in the season so you have time to put one of your own together if you wish. There’s something about those buckets! I’ve heard you can find small ones at the dollar store in the wedding supplies if you want to try your own. The Bub is Lego-obsessed, so for the past three years this is one we don’t miss. I actually had to hide it so he would QUIT ASKING to open up the doors. ;) Torture for a little man. Of course, what I love most about blogland is seeing the creative versions you all come up with this time of year. They look like buckets don’t they? Nope! Dixie cups! Brilliant!! That would be such a fun little project for the kids to help with! They would LOVE it. She wraps up Christmas books for the nights leading up to Christmas. 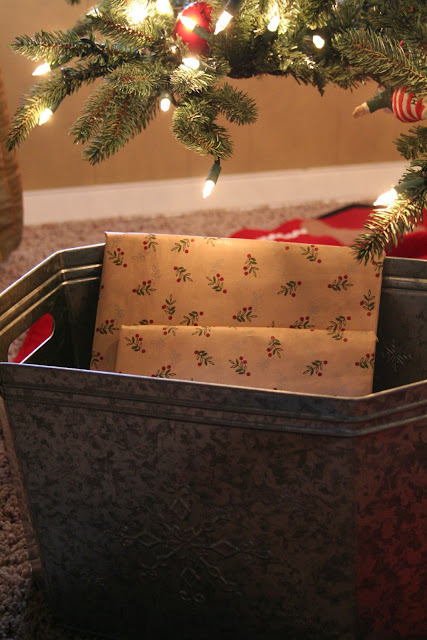 Doesn’t matter if they are old or new – the kids will LOVE opening them up! Can’t wait to do this one! LOVE it! You add cotton balls to Santa’s beard throughout the month. What a cute idea to make and give to friends and family with kids. She just used an old soda crate (already had 24 spots) and stamped small boxes for inside. Uhhhh…why don’t I think of these things? I have a crate that would work perfectly for this! It looks identical to the Ballard Designs one! Love it! Yep, Sarah had me at the “no” part. ;) This is so dang cute – and another one the kids would love helping with I bet! I’m thrilled to be inside sharing one of our traditions – my handmade advent calendar we’ve used for years! You can see more of this beautiful issue here. If you’ve made your own advent, please feel free to leave it in the comments! I’d love to see them! Cute ideas! I will be decorating before Thanksgiving for the first time EVER!!! All the pictures are so great thanks for sharing. Oooo I love the matchbox one and the cotton ball one. They are all so cute. And I totally encourage you for doing this early! Great photos. I love the lego advent set. So many nice ideas! I just pinned this one. I think you would like this idea. I don't think the link worked. Here is my Christmas Cheer pin board with the link called 'Coca Cola crate advent calendar'. The candy cane calendar is so bright and cheery. How can that NOT put a smile on your face!? I am a self-confessed christmas-aholic. But would you believe I have never made an advent calendar before???? I would love to try one of these great ideas this year. Thanks! FYI, Meijer has the Lego Star Wars Adevent Calandar 20% off this week. I got $10.00 off mine. Love my Meijer!! I did the wrapped books last year, and my daughter loved it so much that she has already asked me if we'll be doing it again this year! I didn't have enough Christmas books of my own, so I got the rest from the library rather than buying them. FYI, it's not too early for Christmas posts!!! I really need them early because of a busy schedule. It takes me a long time to get any projects done. I do them bit by bit each week as I have time. And I'd like them done by Dec. 1 so I can enjoy them. Great ideas! Thanks for sharing the great advent ideas. I like the Santa's beard one too. It does sound so simple, maybe I could actually do it. Thank you for these great inspirations! I love the new one from PB! I always loved advent calendars when I was a child and my kids did too. Love them all! Years ago, when my kids where young, my sister made them an advent calendar quilt that looked like a toy shop. They had to move a little stuffed bear with Velcro on his back around the shop to numbered areas that corresponded to the calendar date. On Dec. 24th, the little bear ended up on the roof in Santa's sleigh ready to go to some child's home. Now my daughter has that same quilt in her home for her children to use each Christmas. Wonderful ideas! But I love the soda crate concept the most. I will definitely try it. Both grandmas (my mom and my mother-in-law) made Advent calendars for my children. One is crosstiched with a poem and has 25 red ribbon ties on it - you tie a candy to each one and the kids take one off each day of December. The one my mom made is just like the one I had growing up - another homemade one. It has 25 little pockets at the bottom and at the top are 25 little hooks in the shape of a tree. In each pocket are miniature Christmas-themed ornaments. Baby Jesus is always in the last pocket. My daughter loves to organize the ornaments in the orrder she wants to put them up. Each morning she hangs a new one. We have one hanging downstairs and one up by their bedrooms. I love that they were made by the grandmas and can be passed down when the time comes! I'm so ready to get my decking of the halls on!!! I'm already listening to Christmas music! What lovely ideas! I've been feeling a little pressured to start Christmas decorating early, too! No need to apologize...it's never too early for Christmas. What a joyful, exciting, peaceful time of year! I'm going to see if I can get that Lego Advent Calendar on clearance after Christmas. I'm sure MY Bubby would love it. His favorite is the plain old chocolate window type that we purchase at Fleet Farm every year for like $2.99. Who doesn't like chocolate? Merry Christmas! 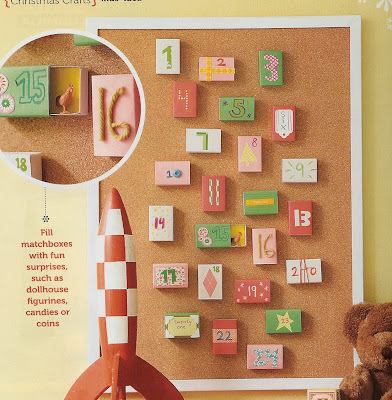 I love the mitten advent calendar idea -- it's a great mantle decoration, and it will be fun for the kids! This will be our first year with an advent calendar... we will do the simple envelopes clothes pinned to a ribbon. I have it all ready to go, just need to hang it one Thanksgiving is over. I'm so excited about it because I know the kids are going to LOVE it!! Thanks so much for featuring my Mitten Calendar Sarah! Such great ideas....and it's never to early for Christmas:) I'm counting the days until Thanksgiving just so I can start putting up my decorations! This is a bunch of really great ideas. i want to do each one- how to choose? Better hop to for this year, times'a'tickin'! !